What started as mere rumors with some people even thinking it was a publicity stunt, is lowly becoming a real life love story. 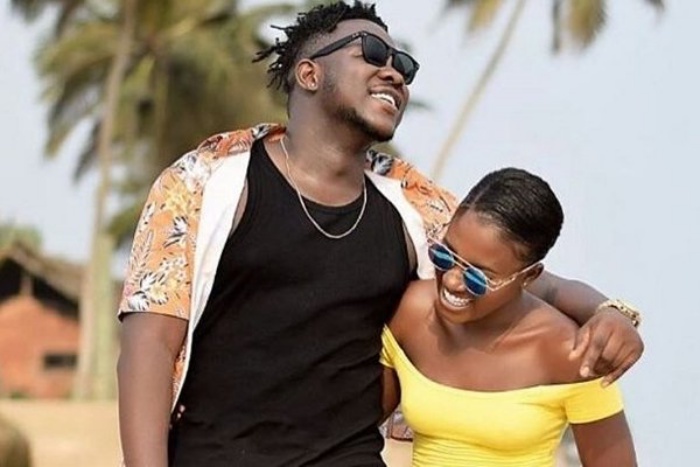 Rapper Medikal has finally confirmed his speculated romantic relationship with actress Fela Makafui and he has affirmed his unconditional love for her. The “Ayekoo” hit maker in a latest Instagram post has revealed how long he has known Fela and much he loves the YOLO actress. “5 years ago we became friends. you’ve always been hard working and a very strong respectful powerful black woman. You teach me a lot of things day in and day out. People criticize me as if they’ve never had ex’s and aren’t into new relationships but anyway I guess that’s how it goes. Its also rather unfortunate that Some people don’t understand us and say or act towards however they feel and sad how they don’t know what led to my current breakup with my ex. I never expected to be foes with my ex after our breakup, wanted us to still stay cool as good friends because who knows what might happen next in this life ? but unfortunately she is out there mocking me and you with songs and videos etc. I want the world to know I’m glad I found you and finally fell in love with you after several years of friendship. Im in love with your hard African face and your dark skin as they say. Your beauty is impeccable and your level of maturity can’t be taken away from you! ❤”. Rumours surfaced last week that the Tema-based rapper, Medikal, had fallen out of love with his longtime girlfriend, Deborah Vanessa, known in showbiz as sister Derby after about three years of dating. Actress Fella Makafui’s name came up as the new found love of Medikal. Though the two did not explicitly confirm their breakup, tweets from them and subsequent release of singles from suggested they were no longer together. Medikal and Fella Makafui have since last week been frolicking and showing off their affection for each other through social media posts. But in her single titled Kakalika, the ‘Uncle Obama’ hit maker laughed off the love brewing between Medikal and Fella, claiming the pair were behaving like cockroaches at the time they started seeing each other at her blindside. The Too Risky hitmaker, however, suggested in his single, which featured King Promise, that Sister Derby was worrying him with marriage. Medikal also praised the physique of his new found love as he likened Fella’s backside to “a plantation”.